KOLTE PATIL ILLIQUIS is a brand new housing project launched by Kolte Patil Developers Ltd, to be developed in Bangalore. The vibrant residential enclave lets you enjoy each and every moment spent over here, creating memories to be cherished. It is a perfect project that is exemplary of artistic designing and is packed with extraordinary facilities that allows its dwellers to lead a contemporary and trendy lifestyle one has always aspired for. The property is spread across wide lungs of land parcels and offers 3 and 4 BHK premium apartments. The size of the homes starts at 1791 sq. ft. and gradually increases up to 2603 sq. ft. There are 93 apartments in total with a ratio of 2:3 (3BHK, 4 BHK) and only 5 flats per floor. The automated homes offer its inhabitants a lavish lifestyle that is surrounded by beautifully landscaped gardens and rare water bodies. The building has well-planned floor plans with space-efficient project layouts that encompass a world of sophisticated living and offer you an ultra-urbane lifestyle. KOLTE PATIL ILLIQUIS Bangalore is a high-rise luxury apartment project which is packed with a horde of rejuvenation activities that offer you the best of everything. The tremendous community amenities available include a modern club house, multiple sports facilities, dedicated play area for the children, jogging track, basketball court, tennis court, theatre, café lounge, fitness studio, swimming pool, ample car parking space, video door phone, intercom, power back up and huge lungs of open space to enhance the beauty of the property and let its residents breathe in fresh and clean air. The high-end homes are set to be absorbed in the range of Rs 2.14 crores to Rs 3.12 crores backed by amazing home loan facilities and different installment plans to choose from. The booking amount in the pre-launch is Rs 5 lakhs. The spectacular project is located Koramangala in Bangalore and is close to IT Parks like Prestige Tech Park, RMZ Ecospace, Tech Village and Embassy Golf Link. The project site is also near to major offices like Bosch, Dell, OLA, Oracle, Flipkart, Target, Microsoft, etc. Major basic conveniences like offices, educational Institutions, malls, hospitals, and super markets are available within an arm’s reach. The locality, Koramangala is rising high on its graph of development and fast urbanization and is the nodal point of many eminent roads like Sarjapur Road and Intermediate Ring Road that connects the Airport Road with Hosur Road and Electronics City. Comfort living, great connectivity, fully loaded bag of basic and lifestyle facilities are all what defines this grand residential venture. Attracting a number of buyers and investors the property is a great investment opportunity for future. Apart from this project, Kolte Patil has also launched another new residential development in one of the most vibrant location of Bangalore, viz. Electronic City. Billed as the “Tallest Building in Electronic City”, the name of this new project is Kolte Patil Exente, which offers 1/2/2.5/3/4 BHK apartments at affordable prices starting from Rs 35.37 lakhs. Bio Metric Door locks for all the Flats. Hospitals: St. Johns, Manipal, Fortis, Apollo, etc. Shopping complex: The Forum, Tibet, Oasis Centre, Lifestyle Mall, Food Mall,etc. Marvelous residential project by kolte patil in bangalore. 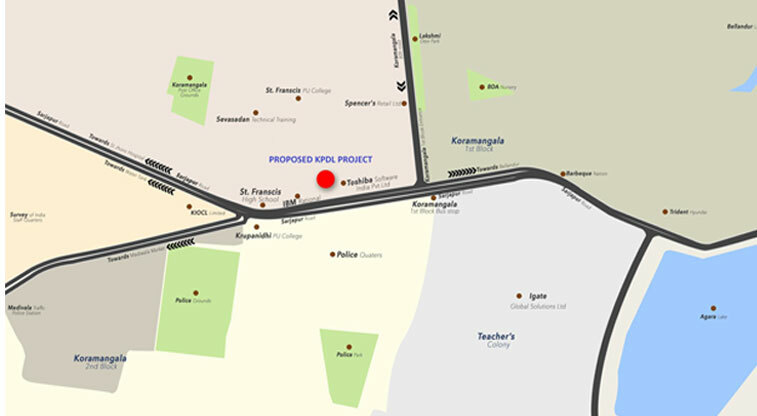 Location is a great advantage in this development..superb infrastructure with great amenities.